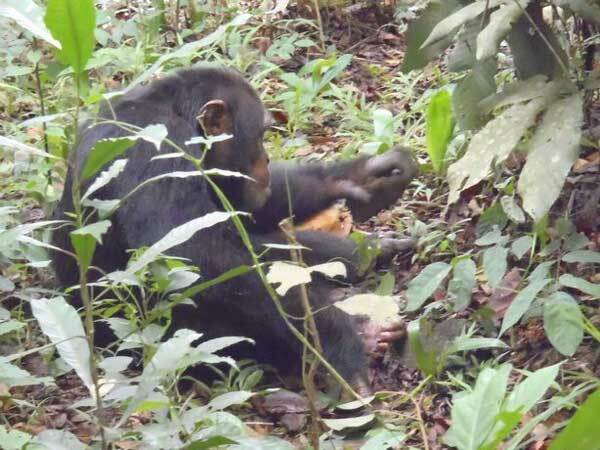 Social behavior of wild chimpanzees was investigated by following a group of 12 chimpanzees at Bossou, Guinea. In general, they have a fission-fusion society that chimpanzees dispersed with a small group, and reunited into a single group repeatedly. At the reunion of group members, social interaction of them was observed. Individual location was quantified with a GPS equipment and was analyzed for the habitat use and fission-fusion formation of the group. A preliminary analysis indicated that the subjects reunited in area where they utilized in more frequency than area where they utilized in less. At the reunion of group, vocal communication was major behavior among social behaviors. 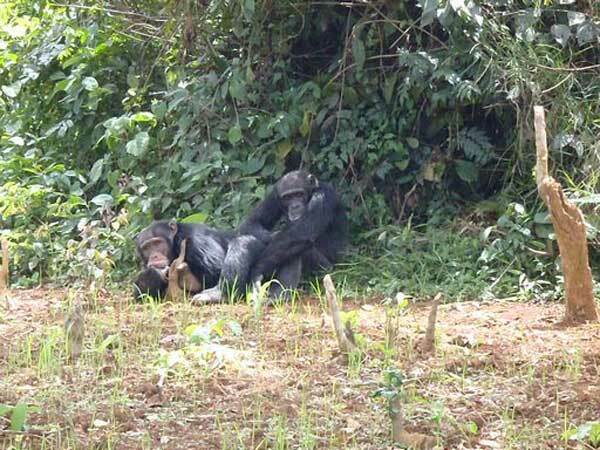 The reunite into a group of chimpanzees provide an opportunity to understand how chimpanzees solve a problem with tension. The social behavior in fission-fusion formation of a group will be compared between wild and captive chimpanzees. The nut cracking is frequently observed.